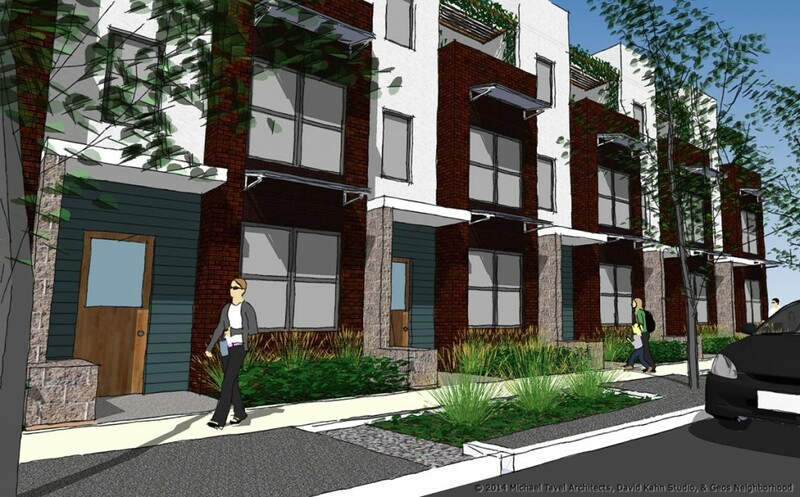 Overlooking the Ralston Creek Greenway with mountain views and warm winter sun, these Workspace Townhomes offer efficiency, functionality, flexibility, and beauty. At 1,827 finished square feet, it’s built with the option for up to four bedrooms and has two full baths. 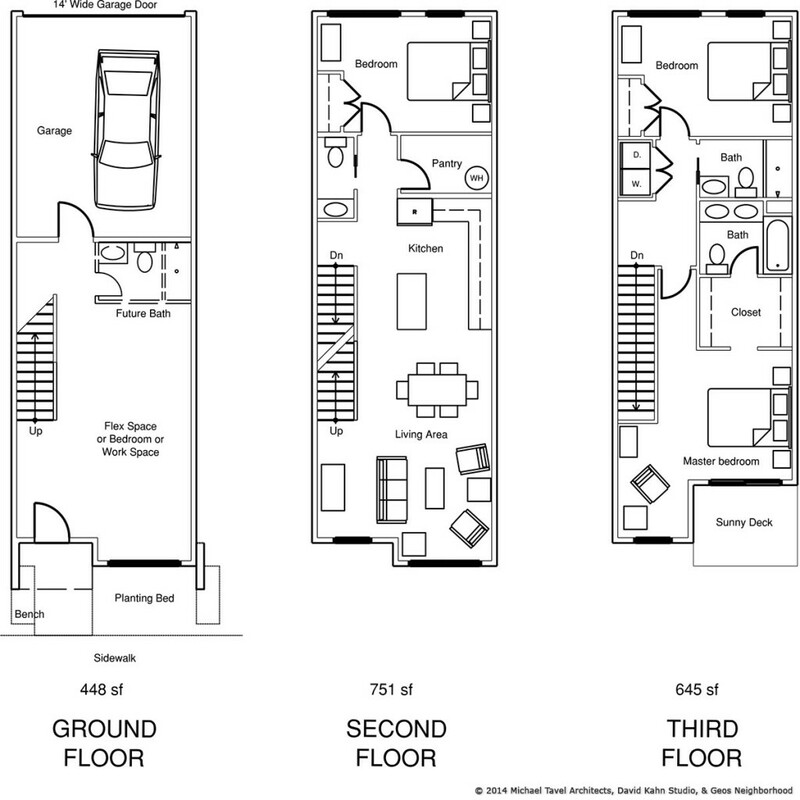 The top floor, level three, contains a flex space or master suite with a private, South-facing deck. The other bedroom on this floor has access to the master bath. The main floor, level 2, provides an open great room with kitchen, living and dining rooms. The sweeping southern views from this level are astounding. Its bed/bath is at the North end. The ground floor, level one, has flex space that could be built out as a bedroom or used as a work space. A half bath is located on this floor. Whether you need an office or storage space, this can accommodate hobbies and professions. It’s permitted for office, crafts, personal services, and private instruction (neighborhood services that don’t require much parking and don’t make noise). The attached garage is north of this flex space and can fit one SUV or two compact cars. These Townhomes are designed to suit the living conditions of all generations, with a large amount of separated spaces between floors and an inviting main floor for socializing and taking in the panoramic landscape.